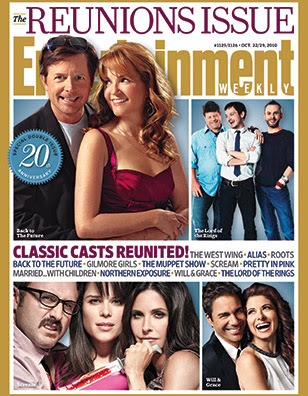 Entertainment Weekly ha mostrado la portada de la edición para la próxima semana. En ella aparecen David Arquette, Neve Campbell y Courteney Cox (con cuchillo en mano) junto a otros castings reunidos. En la publicación podrán verse las fotografías que se le realizó al reparto acompañado de Wes Craven. Entertainment Weekly has shown the cover story for next week. 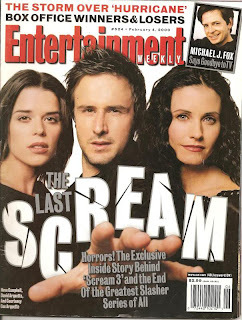 It shows David Arquette, Neve Campbell, Courteney Cox (with knife in hand) with other castings reunions. The publication will be the photographs that he made the cast accompanied by Wes Craven. 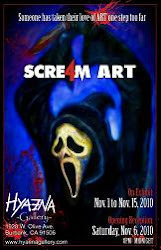 Portadas de Entertainment Weekly para Scream 2 y Scream 3. 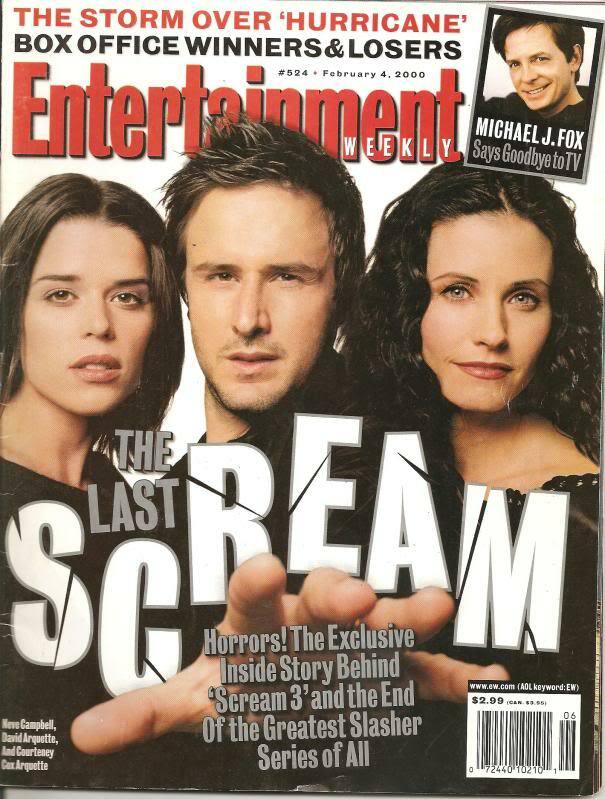 Covers of Entertainment Weekly for Scream 2 and Scream 3.